UCLA sophomore François Lemieux had thought his biggest challenge would be scoring a summer internship. Everything changes, though, when a trio of vampires tries to run his car off the road. He’s saved by a beautiful, heavily armed succubus, but his troubles are far from over. Evil forces are out for his blood and a dangerous new power threatens the entire world. 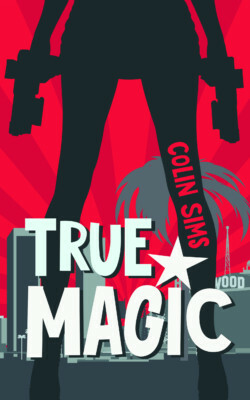 True Magic is a fun, fast-paced new adult urban fantasy novel. If you like simmering chemistry, action-packed adventure, and fantasy worlds within a Hollywood setting, then you’ll love Colin Sims’ witty coming-of-age tale. Buy True Magic to uncover an imaginative new Hollywood today!